As your baby needs to have some toy to spend his time and play,just like this your pet also need some toys to play with it.There are various kinds of toys around you and you can buy any of this just by doing some clicks online.I am giving you some small ideas how and what are the best toys for the pet dogs or pet dog toys. 1. You can provide your pet dog a pet dog toy like a talking pet dog toy.This is can be a doll or something which can talk. 2.You can provide your pet dog a tennis ball with various kind of color which will make him or her very happy to play with it.Your children can also help the pet to play with it by throwing the ball. 3.You can buy a frisbee for your pet dog and you can play it with your pet dog.Cause your dog will help you to play frisbee with him.Just o inform your that dogs can play very good Frisbee if the dog is having good height.It can catch the frisbee very smoothly. 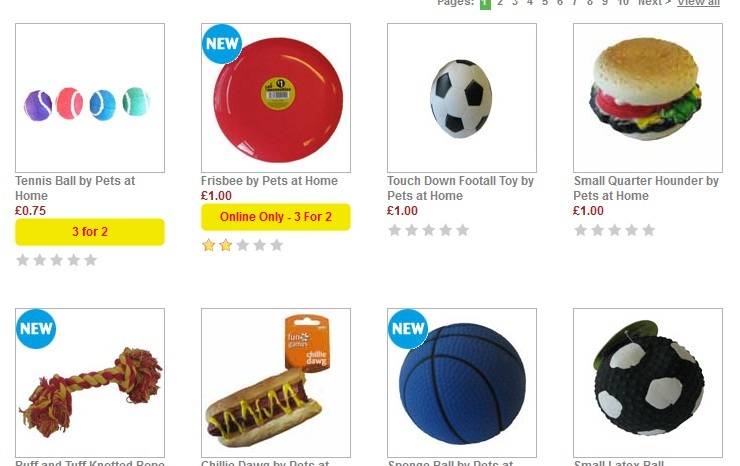 4.You can also buy your pet dog a touch down ball.It is also a good pet toy. 5. A small quarter hounder is also a good toy for your pet dog. 6.Ruff and Tuff knotted rope made up of plastic can make your dog crazy and your dog will give a lot of time behind it to make it open and unkontted.This is a good time passing toy for dogs. 7.You can also buy a pet toys like sponge ball.So that though your dog bites the ball,it will not get punctured and the pet will also love to bite it again and again. 8.You can also buy you puppy dog a fake bone canvas which will be very attractive for your toy and your toy will bite it whole day. 9.Pink and mix vinyl egg will also be a very smart toy for your dog. 10. Mini Cat made up of plastic which can make sound.This is going to be a very interesting gift toy for your pet dog.Cause it will also make the dog annoying and they will fight.But ultimately this will turn out as a play.